Trademark Registration China is one of WDALAW’s preferred markets. Register your trademarks in China through WDA law firm. Our lawyers will register your trademarks with customized assistance 365 days a year. Contact us now! 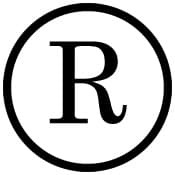 The registration of trademarks and trade names in the People’s Republic of China comes through obligations which commit the state to be a signatory to agreements: The WTO, the Paris Convention, Madrid, Nice Convention, and the Vienna Convention on the Trademark Law and Agreement on Intellectual Property Rights. Based on the commitments to World Trade Organizations, foreign applicants are allowed to be granted a trademark registration in the People’s Republic of China (PRC). The registration of trademarks and trade names in China is filed with the Trademark Office of the PRC. If the application is approved, the mark will be published in the Bulletin of Trademarks in the PRC and will have three months for any opposition by third party claiming previous rights. If no opposition is submitted within that period, the application will proceed to the registration. The certificate shall be issued and the mark will be published in the bulletin of new brands as a trademark. This protection will be valid for ten years from the date on which the registration is granted. The mark may be renewed for an additional period of ten years, 6 months before the expiration date of the same. Nominal, Figurative, collective and certification trademarks are the types of brands that can be protected in China. NOMINAL: Any word or set of words, letters or combination of letters of any alphabet. The security of such a mark is summarized in the word itself and not on how it is written. COLLECTIVE: when it is formed simultaneously by words and figurative elements, or elements nominative whose submission has sufficient distinction. In addition to the registration of trademarks and trade names in China, we can see that the Trademark Office accepts applications for claiming priority on the basis of the implementation of treaties such as the above. In the event of filing an application for registration of a trademark in a foreign country, you will enjoy priority rights, if the applicant submits an application to register the same mark with the same products in China within six months from the date of application, in countries member to the Paris Convention. For more information about costs and professional fees for the Trademark Registration China, please Contact Us Now.